All policies and prices are current as of April 1, 2015, and are subject to change without notice. The Terms and Conditions of Sale as outlined herein, or any quote, which by definition is submitted with the Terms and Conditions of Sale (together, the “Contract”) form the agreement between MBS, LLC. (“MBS”) and the customer (“Buyer”) to which the Terms and Conditions of Sale, or any quotes are delivered. MBS’s published Terms and Conditions take precedence over any terms and conditions that the Buyer may have included in their own purchase orders. When purchasing Buyer agrees by default the terms of conditions hereafter stipulated. Buyer forms and accepts a Contract with MBS by: (a) executing a separate agreement with MBS, which incorporates the Terms and Conditions outlined herein, (b) submitting a purchase order for Products (defined below) with quantities and delivery dates acceptable to MBS; (c) accepting delivery of the Products; or (d) paying the price for the Products, whether prior to delivery or not, as agreed to by both parties and/or set forth in the quote, order confirmation or invoice. The Contract is deemed to be accepted by Buyer at the time any of one of these four methods occurs. All purchasing agreements (Contracts) with MBS incorporate the Terms and Conditions herein unless specifically stated otherwise in writing. Buyer agrees to purchase, and MBS agrees to manufacture and sell, the products (“Products”) described in a quote, or if none, pursuant to any orders placed by Buyer and accepted by MBS under the Contract. To the extent Buyer provides any product specifications to MBS, Buyer grants MBS the right to use any such specifications to fill any orders placed by Buyer in connection therewith. All orders shipped to Buyer by MBS are non-returnable unless the Products are determined to be defective as described in this contract, or a Return Merchandise Authorization (RMA) has been issued by MBS as a courtesy, or for other reasons not described. MBS shall make all reasonable attempts to keep in reserve Products deemed as “stock.” Buyer acknowledges Products deemed as “stock” are not guaranteed to be in stock and MBS shall not be in default of performance due to a delay in shipment if “stock” Products are not readily available. MBS Systems cannot be held liable for excess freight charges incurred for expediting any Products at Buyer’s request. MBS shall make all reasonable efforts to meet Buyer’s delivery schedule. Buyer shall agree to make all reasonable efforts to provide sufficient lead-time on all orders. Same day shipments can be accommodated dependent upon current workload and may be subject to a “Rush” charge. Cut-off time for same day shipments is 12:00 pm Pacific Time. Should MBS not be able to perform, Buyer is merely entitled to withdraw from the Contract without claims to damages or later delivery, respectively. QuickShip Products are certain staple Products that MBS attempts to keep in stock at all times, and can normally be shipped within 24 hours. MBS, however, shall not be liable for any delay in shipping orders containing QuickShip Products that cannot be shipped within this 24 hour period. Products designated as QuickShip are subject to change without notice. 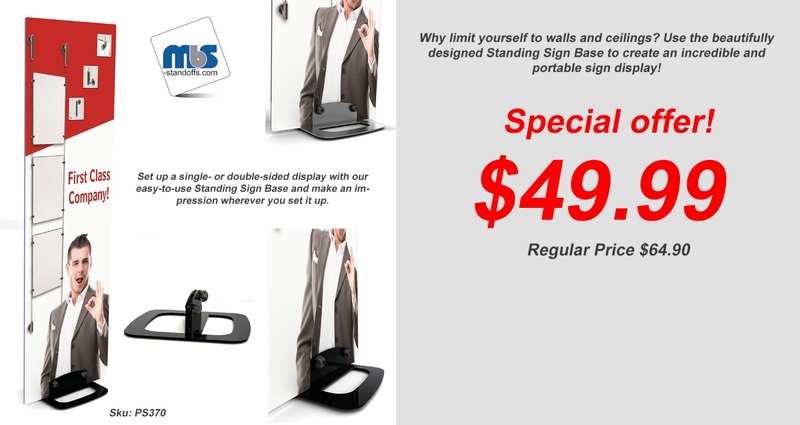 MBS accepts faxed or emailed Purchase Orders only. Verbal orders are discouraged. In case of a verbal Purchase Order, the Buyer accepts the subsequent Order Confirmation as an agreement between the Buyer and MBS. Order Confirmations are sent prior to shipment of any Products. If an Order Confirmation has not been returned to the Buyer, MBS shall not be responsible for delay in shipment of Products, as this may be an indication that MBS has not received Buyer’s Purchase Order. Some changes to orders may be allowed, at MBS' discretion, provided the changes are requested to be made within 30 minutes of placing the order. We ship only to US States and Canada. For delivery outside of these regions, a payment by wire transfer is required. MBS will consult with Buyer on the design of customized Grippers, Suspension Kits or any other Products. Any subsequent ideas for new or improved Products or technologies, Product enhancements, designs, materials or new Product names are the exclusive property of MBS, and may not be divulged, reproduced, copied or used as the basis for the manufacture or sale of apparatus without the express written authorization of MBS. Buyer shall acknowledge that customized Grippers and certain other Products may take up to 4 months to manufacture, in addition to development time. Buyer shall also acknowledge that there may be consultation and engineering fees, as well as other set-up charges associated with such development. All Special Orders and Custom Orders are final. When customizable orders are placed with Mbs, no changes or any modifications will be permitted to your order. No refunds, return or cancellation will be permitted at anytime after the drawing has been signed by the customer, approving the custom order. All orders are definitive. Buyer hereby assigns to MBS all rights (including intellectual property rights), title and interest it may now or hereafter possess in and to the MBS Technology and in any derivative works of, and improvements to, the Products. Buyer also agrees to execute all documents, and take all actions that may be necessary to effect such assignment. MBS is under no obligation to disclose any of the MBS Technology to Buyer for any reason. MBS does not accept orders under the amount of $25.00 USD excluding shipping charges. A special handling charge may be added to smaller orders under the minimum. NO RETURNED GOOD SHALL BE ACCEPTED WITHOUT A RETURN MERCHANDISE AUTHORIZATION (RMA) ISSUED BY MBS. Goods are returned at Buyer's expense. Goods are returned in original packaging. Upon inspection and acceptance of goods by MBS’s Quality Control Department, a Credit will be issued. All returned goods are subject to a re-stocking charge between 20 to 50 percent, based on the condition of the goods. MBS’s publications containing pricing information are offered as sources of general information, and are neither quotations nor offers to sell the product at the specified price. Prices exclude all federal, state, or local taxes, as well as shipping and handling charges. Such prices are subject to increase by the amount of any shipping and handling charge, and any such tax (excluding tax on net income) that MBS may be required to collect or pay upon the sale or delivery of the Products. Prices are, and all payments shall be made, in the currency set forth in the quote, order confirmation or invoice. Unless otherwise expressly agreed to, written quotations are void unless accepted within 30 days from the date of issue. MBS publications containing pricing information are offered as sources of general information, and are neither quotations nor offers to sell Product at the specified price. MBS provides a limited amount of Product samples with the following agreement. Sample products are to be paid for upfront, however if the Buyer returns for a larger order, the cost of the initial sample product can generally be credited towards the new purchase. Our standard terms for established credit accounts are Net 30 unless otherwise agreed upon by MBS. All other accounts are Credit Card, COD or Pre-payment. New credit applications will be handled in an expedient manner, but may take up to 14 days for processing and final approval. MBS reserves the right to withhold all shipments if the Buyer’s current account balances are not paid under the agreed-to payment terms or if the buyer has exceeded its credit limit. Such shipments, if sanctioned, will require pre-payment. Unless otherwise stated in a quote, (a) all domestic deliveries shall be made from either MBS’s warehouse in Tampa, Florida, or Henderson, Nevada, USA, and risk of loss of such Products shall transfer to Buyer upon delivery to the freight carrier; and (b) all international deliveries shall be made Ex Works MBS, and, unless otherwise stated in a quote, MBS shall present the Products to the carrier, and risk of loss of such Products shall transfer to Buyer upon presentation. Orders for stocked “bulk” product (not including kits) are usually shipped within 48 hours of receipt unless express delivery is specified. MBS will attempt to meet the requirements of Buyer’s delivery schedule and MBS shall not be in default of performance due to a delay of reasonable duration resulting from any cause. Buyer shall pay, or reimburse MBS for all amounts due for import and export licenses and permits, custom charges and duties, penalties, freight, insurance and other shipping expenses. Unless otherwise instructed, selection of carrier and routing of all shipments shall be at MBS’s discretion. Shipment dates for export sales are approximate and are subject to receipt of all necessary Buyer information, and all necessary licenses, permits and other documents. As a general rule on Buyer’s behalf, MBS will not insure any Products during transfer with carriers engaged by MBS. The freight insurance will be billed to the Buyer at current rates if (a) Buyer specifically instructs MBS to do so, (b) Products travel “collect” on Buyer’s own shipping account, or (c) Buyer engages its own carrier. MBS shall not be held responsible for Shipments that are lost or undelivered due to an incorrect or illegible ship-to address on the original Purchase Order. Any excess shipping charges incurred as a result shall be billed to and paid by Buyer. Shipments of Art Track and other over-sized materials are subject to additional shipping and handling charges to cover shipping materials and handling fees imposed by shipping companies. MBS shall not be liable for any delays in the delivery of Products, due in whole or in part, directly or indirectly, to fire, acts of God, strike, shortage of raw materials, supplies or components, retooling, upgrading of technology, delays of carriers, embargo, government order or directive, or any other circumstance beyond MBS’s reasonable control. Title to Products shall stay with MBS until MBS receives payment in full for such Products. Buyer hereby recognizes that MBS retains all rights, title and interest in (a) all intellectual property rights in and to the Products; (b) all processes, methods, formulas, ingredients, designs, procedures and other practices used by MBS or relating to the manufacture and sale of the Products, including all intellectual property rights therein; and (c) all of MBS’s equipment and tooling used in the manufacture and sale of the Products, including all intellectual property rights therein, (collectively “MBS Technology”). Buyer hereby assigns to MBS all rights (including intellectual property rights), title and interest it may now or hereafter possess in and to the MBS Technology, and in any derivative works of and improvements to the Products. Buyer also agrees to execute all documents, and take all actions that may be necessary to effect such assignment. MBS is under no obligation to disclose any of the MBS Technology to Buyer for any reason. MBS warrants to Buyer that the Products shall be free from defects in materials and workmanship. Any claims for breach of the foregoing warranty shall only be valid if Buyer makes such claim within one (1) year of the date of shipment of the Product to which the claim relates, or such shorter period specified on a quote, if any, by notifying MBS’s Sales Department in writing and obtaining a Return Merchandise Authorization number for the return of the Products (which is to be referenced on all return shipping documents). Buyer’s exclusive remedy and MBS’s sole liability for any breach of the foregoing warranty shall be for MBS, at MBS’ sole option, to repair, replace or modify the defective Product. The warranty service shall be performed at MBS’s factory or elsewhere at MBS’s discretion. In order to receive the warranty service, Buyer must return the defective Product within 30 days of notification from Buyer here under. All warranty claims will be handled pursuant to MBSs’ standard RMA procedures. If MBS determines that the original Products were not defective, Buyer shall reimburse MBS all costs of handling, transportation and repairs at MBS’s prevailing rates. All defective Products returned under this warranty which are replaced or for which a refund is given to Buyer shall become MBS’s property. THE WARRANTY SET FORTH IN THIS SECTION IS IN LIEU OF ALL OTHER WARRANTIES AND MBS HEREBY EXPRESSLY DISCLAIMS ALL OTHER WARRANTIES, EXPRESS OR IMPLIED, STATUTORY OR OTHERWISE, INCLUDING, WITHOUT LIMITATION, THE IMPLIED WARRANTIES OF MERCHANTABILITY, INFRINGEMENT AND FITNESS FOR PARTICULAR USE. Any repair or attempt to repair Products by anyone other than an authorized representative of MBS automatically voids any warranty on those Products. Parts provided by MBS are not intended for use in (a) the outdoors, (b) chemical-laden environments such as indoor swimming pools, (c) adjacent to HVAC vents, in windy or other moving-air environments which will cause the Product to oscillate, (d) locations subjected to water or excessive humidity, (e) human implantation, and (f) aircraft applications. The warranty shall also be void if Product is not installed according to our published Installation Instructions and Specifications or if Products are altered and/or combined with 3rd party products not approved by MBS. Buyer may request free samples for testing and evaluation. Although MBS has attempted to provide accurate information on its web site, MBS assumes no responsibility for the accuracy of the information. MBS may change the services or products mentioned at any time without notice. Mention of non-MBS products or services is for informational purposes only and constitutes neither an endorsement nor a recommendation. Except as expressly provided otherwise in a written agreement between you and MBS, all materials and services on this site are provided "as is" without warranty of any kind, the services and materials will meet your requirements ,the services and materials will be uninterrupted, timely, secure, or error-free, the results that may be obtained from the use of the service or materials will be effective, accurate or reliable, the quality of any products, services, or information purchased or obtained by you from the site will meet your expectations, and any errors in the software obtained from the site will be corrected. Some states or jurisdictions do not allow the exclusion of implied warranties or limitations on how long an implied warranty may last, so the above limitations may not apply to you. To the extent permissible, any implied warranties are limited to ninety (90) days. This site could include technical or other mistakes, inaccuracies or typographical errors. MBS may make changes to the materials and services at this site, including the prices and descriptions of any products listed herein, at any time without notice. The materials or services at this site may be out of date, and MBS makes no commitment to update such materials or services. MBS assumes no responsibility for errors or omissions in the information, documents, software, materials and/or services which are referenced by or linked to this site. References to other corporations, their services and products, are provided "as is" without warranty of any kind, either express or implied. In no event shall MBS or its suppliers be liable to you or any third party for any special, incidental, indirect or consequential damages of any kind, or any damages whatsoever, including, without limitation, those resulting from loss of use, data or profits, whether or not MBS has been advised of the possibility of such damages, and on any theory of liability, arising out of or in connection with the use of this site or of any web site referenced or linked to from this site. Some jurisdictions prohibit the exclusion or limitation of liability for consequential or incidental damages, so the above limitations may not apply to you. This site contains links to third-party web sites that are not under the control of MBS. MBS makes no representations whatsoever about any other web site to which you may have access through this site. When you access a non-MBS web site, you do so at your own risk and MBS is not responsible for the accuracy or reliability of any information, data, opinions, advice, or statements made on these sites or for the quality of any products or services available on such sites. MBS provides these links merely as a convenience and the inclusion of such links does not imply that MBS endorses or accepts any responsibility for the content or uses of such web sites. This site can be accessed from other countries around the world and may contain references to MBS products, services, and programs that have not been announced in your country. These references do not imply that MBS intends to announce such products, services or programs in your country. Buyer agree to indemnify and hold MBS, and its subsidiaries, affiliates, officers, agents, co-branders or other partners, and employees, harmless from any claim or demand, including reasonable attorneys' fees, made by any third party due to or arising out of content you submit, post to or transmit through this site, your use of this site, your connection to this site, your violation of the rules, or your violation of any rights of another person or entity. Buyer agree to indemnify, defend and hold harmless MBS , its officers, directors, employees, agents, licensors, suppliers and any third party information providers to this site from and against all losses, expenses, damages and costs, including reasonable attorneys' fees, resulting from any violation of these rules (including negligent or wrongful conduct) by you or any other person accessing this site. MBS shall not be liable for any loss or damage caused by delay in furnishing the Products. UNDER NO CIRCUMSTANCES SHALL MBS BE LIABLE FOR ANY INDIRECT, CONSEQUENTIAL, COLLATERAL, SPECIAL, PUNITIVE, TREBLE, EXEMPLARY OR INCIDENTAL DAMAGES (INCLUDING, WITHOUT LIMITATION, LOSS OF PROFITS OR GOODWILL) WHETHER SUCH CLAIM IS BASED ON CONTRACT, NEGLIGENCE, TORT, WARRANTY OR ANY OTHER BASIS UNDER OR AS A RESULT OF THIS CONTRACT OR THE PRODUCTS, IRRESPECTIVE OF WHETHER MBS HAS BEEN ADVISED OF THE POSSIBILITY OF ANY SUCH LOSS OR DAMAGE. IN NO EVENT SHALL MBS’s AGGREGATE LIABILITY UNDER OR AS A RESULT OF THIS CONTRACT EXCEED THE TOTAL AMOUNTS ACTUALLY PAID BY BUYER FOR THE PRODUCTS PURCHASED UNDER THIS CONTRACT. The parties agree that the limitations on liability set forth in this Contract are independent of any exclusive or limited remedies, and shall survive and apply even if such remedies are found to have failed of their essential purpose. No action, regardless of form, arising out of the transactions under this Contract may be brought by Buyer more than 1 year after the events which gave rise to the cause of action occurred. Buyer understands and agrees that MBS is a business to business supplier is not responsible or liable in any way for the installation of its products for third-parties or end users. Buyer agrees that Buyer is responsible for any repairs or damages resulting from the installation of MBS products and that MBS does not warrant the installation of its products. Further, Buyer assumes all liability for the installation of MBS products for third-parties or end users and agrees that Buyer shall fully defend, indemnify, and hold harmless MBS from any and all claims, lawsuits, demands, causes of action, liability, loss, damage and/or injury, of any kind whatsoever ( including without limitation all claims for monetary loss, property damage, equitable relief, personal injury and/or wrongful death), whether brought by an individual or other entity, or imposed by a court of law or by administrative action of any federal, state, or local governmental body or agency, arising out of, in any way whatsoever, any acts, omissions, negligence, or willful misconduct on the part of Buyer, its officers, owners, personnel, employees, agents, contractors, invitees, or volunteers . This indemnification applies to and includes, without limitation, the payment of all penalties, fines, judgments, awards, decrees, attorneys' fees, and related costs or expenses, and any reimbursements to MBS for all legal fees, expenses, and costs incurred by it. MBS may terminate this Contract or orders placed hereunder with notice to Buyer if (a) Buyer fails to pay when due any sums payable hereunder and such failure continues for ten (10) days after the due date or (b) Buyer materially breaches its obligations hereunder, other than the payment of money, and such breach continues for a period of twenty (20) days after receipt by Buyer of written notice from MBS specifying such breach. Buyer may not cancel all or any portions of an order for which Products have been specially produced, are under production or have been shipped. MBS’s Products are components designed and manufactured to specifications developed, maintained, and controlled by MBS. For the purpose of processing orders, MBS requires no proprietary information from Buyer, and specifically requests that buyers refrain from including any information that may be considered proprietary. Buyer agrees that all non-public information furnished to Buyer by MBS, including any variations in pricing from MBS’s standard prices for Products is proprietary to MBS and such information shall be held in confidence and shall not be used or disclosed by Buyer without MBS’s prior written consent. Buyer shall enforce against its employees and agents these obligations of confidentiality. This Contract shall be governed by and construed in accordance with the internal laws (and not the laws of conflicts) of the State of California. The parties expressly waive the application of the United Nations Convention on Contracts for the International Sale of Goods to this Contract. Any action at law, suit in equity, or judicial proceeding of any kind arising directly, indirectly, or otherwise in connection with, out of, related to or from this Contract or the relationship between the parties shall be litigated only in the state or federal courts located in the City and County of SHillsborough, Florida and the parties waive any right they may have to challenge the jurisdiction of this court or seek to bring any action in any other forum, whether originally or by transfer, removal, or change of venue. The losing party in a lawsuit shall pay its own and the prevailing party’s attorney’s fees and expenses. All files submitted must be the work of the individual submitting them. It is the responsibility of each entrant to ensure that any files they submit have been taken with the permission of the owner and do not infringe the copyright of any third party or any laws. Entrants must warrant that the file they are submitting is their own work and that they own the copyright for it. Copyright in all files submitted for remains with the submitter. However, each submitter grants an unrestricted, worldwide, irrevocable, perpetual license to MBS Standoffs to feature any or all of the submitted images in any of their publications, their websites and/or in any promotional material connected. If you prefer not to receive cookies on the MBS site, you can set your browser to warn you before accepting cookies and refuse the cookie when your browser alerts you to its presence. You can also refuse all cookies by turning them off in your browser. The trademarks, logos and service marks ("marks") displayed on this site are the property of MBS or other third parties. You are not permitted to use the marks without the prior written consent of MBS or such third party which may own the marks. MBS and the MBS logo are trademarks of Jean Philippe Merminod. Persons who supply us with their telephone numbers on-line will only receive telephone contact from us with information regarding orders they have placed on-line. Persons who supply us with their telephone numbers on-line sending us e-mail at the above address, calling us at the above telephone number or writing to us at the above address. Please provide us with your name and phone number. We will be sure your name is removed. This Contract and any other agreement or document entered into by the parties which incorporate these Terms and Conditions by reference, constitute the final, complete, exclusive and entire agreement between the parties and supersede all prior or contemporaneous agreements, written or oral, regarding the subject matter of this Contract. The failure of MBS to enforce at any time any of the provisions of this Contract shall not be construed to be a waiver of such provisions nor the right of MBS to enforce such provisions in the future. Buyer may not assign any rights under this Contract or this Contract in whole or in part without the prior written consent of MBS. Any prohibited assignment shall be null and void. This Contract shall inure to the benefit of successors in interest and permitted assigns. MBS may subcontract any of its obligations hereunder. If any provision of this Contract is found to be invalid or unenforceable in any respect, the validity and enforceability of the remaining provisions shall not be affected. The parties may only modify this Contract in a writing signed by both parties.